Peter Philip’s journey to success has been a wayward one. 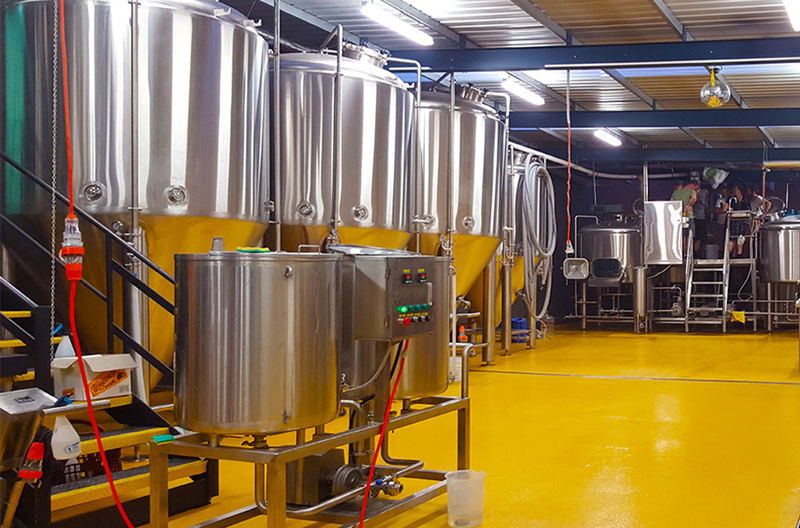 It all started in 2012, when the experienced homebrewer took the leap to commercial gypsy brewer, utilising any venue generous enough to offer him a tank. It was at one of these breweries he met Shaun Blissett, now Wayward’s head brewer, with whom he had an immediate connection. Wayward’s first ever release was an India Red Ale named Charmer – a favourite of Pete’s friends during his homebrewing days. After that came Devil’s Advocate, an Eisbock, then Lilliput, a session (or “Tiny”) IPA, weighing in at 3.7%. “We did that one so people wouldn’t say that we only made strong beer!” Lilliput was also a labour of love for Pete, a keen sailor, who wanted a light yet flavoursome beer while he was on the water. “Every village in Bavaria has their own Kellerbier. I thought, when I come back, I’m going to make a good lager. Lager is not a dirty word.” Thus, Keller Instinct was born. It’s brewed with traditional ingredients – a touch of wheat, Noble hops and finished with a long, cold fermentation. “Lagers generally use Noble hops, because that’s what the region had access to,” explains Pete. “If they had access to American hops, they’d be doing IPL’s with them.” That was enough inspiration to create one of his own – FUSAMI Victory. It was originally brewed in response to a successful legal battle against SABMiller India, who claimed the name “Wayward” was too close to its brand “Haywards 500”, virtually non-existent in the Australian market. 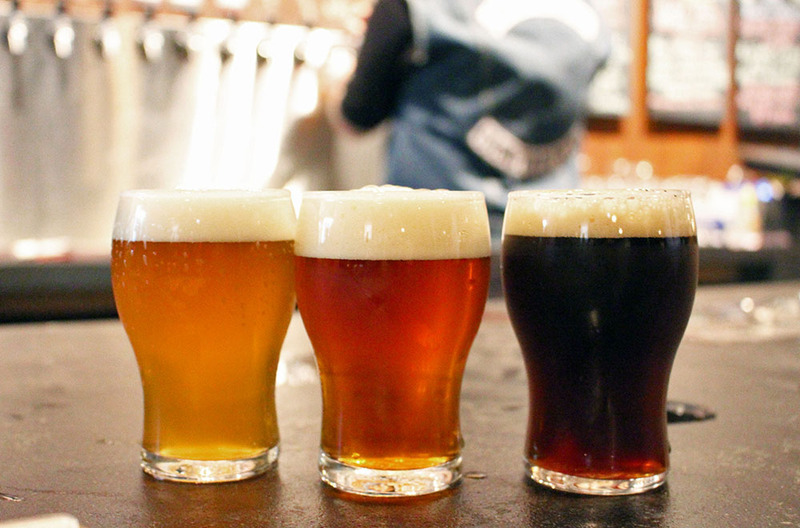 “It took us two years and over $25,000 – but I was determined not to give up.” Once the battle was won, Pete began researching a name for his Victory brew. “I did some research about the Fusami people, an ancient Sumerian group who reportedly invented beer 10,000 years ago.” The links to Pete’s own story were strong – brewers of beer, geographically close to India and ultimately victorious. Of course, some troublemakers have suggested “FUSAMI” may be a certain acronym containing the phrases “FU” and “SABMiller India”, but this is trivial industry rumour that Pete firmly denies. Throughout it all, a certain Barley Cowboy has been by Pete’s side. Mikey Lowe, AKA Wayward’s very first employee, is one of the brewery’s most recognisable faces. “I was hired in 2013,” says Mikey “when Pete was still travelling – through China, through America.” “At the time, I was getting paid to be the host at the Wild Rover, greeting people and sitting down for a drink with them.” Mikey has been honoured with his own beer – Midnight Barley Cowboy Hopped Porter – whose artwork depicts the same tattoo he proudly wears on his arm. 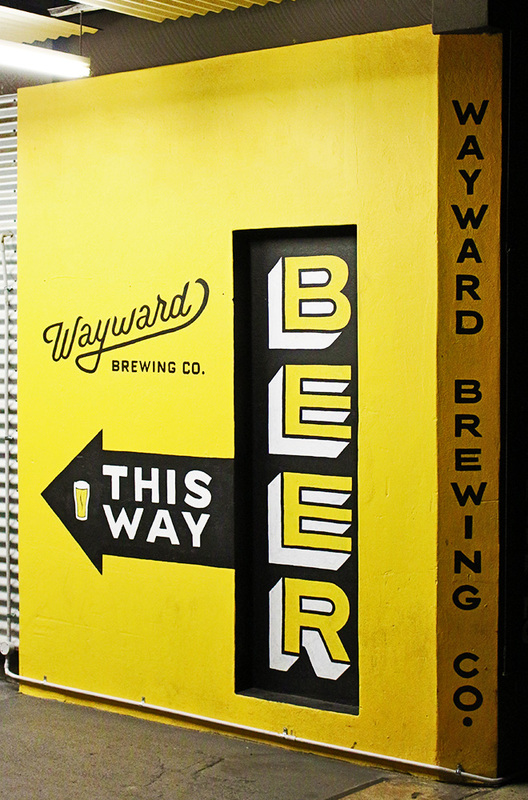 As of last Monday, Wayward’s bottling machine “is five days away from landing in Sydney and probably another five days in customs,” says Pete. “We’re going to start out with a core range in 330mL four packs – FUSAMI, [sour raspberry Berliner Weisse] Sourpuss, Charmer and Keller – as well as seasonals in 640mL longnecks.” “We’ll bring back old favourites like Devil’s Advocate as well,” adds Mikey. Photography Credits: M.C.J. and Wayward Brewing Company’s Facebook Page.